Four years after his strong debut Hide and Seek, director Huh Jung returns to a mid-August release date with his follow-up The Mimic. With better-than-average casting, this chilling and polished countryside take on a local urban legend may be the best Korean horror film in several years yet due to a problematic script it falls short of the genre’s heyday over a decade ago. Some time after the disappearance of her son, Hee-yeon moves to the countryside with her husband, daughter and sick mother-in-law. 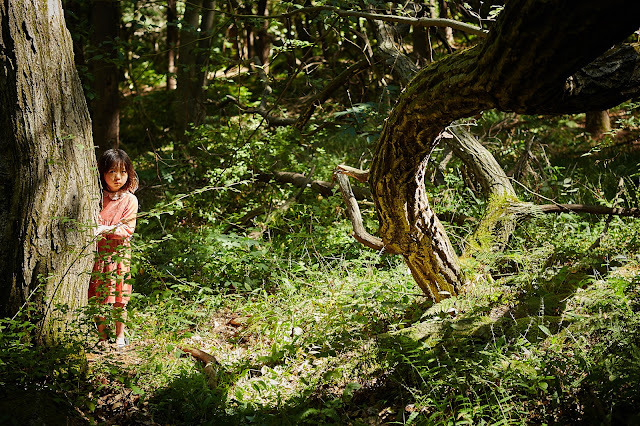 Shortly after moving in, a body is found in a mysterious walled up room in the nearby woods, while at the same time a lost little girl turns up. Hee-yeon takes the mute girl in, but she begins to mimic the voice of her own daughter. It isn’t long before more strange events start to happen around the house. At first glance, The Mimic seems like something we’ve seen many times before. A traumatized mother escapes the city and her paranoia, combined with supernatural occurrences, builds to a reveal that dredges up the past of both the lead (living) protagonist and (supernatural) antagonist. 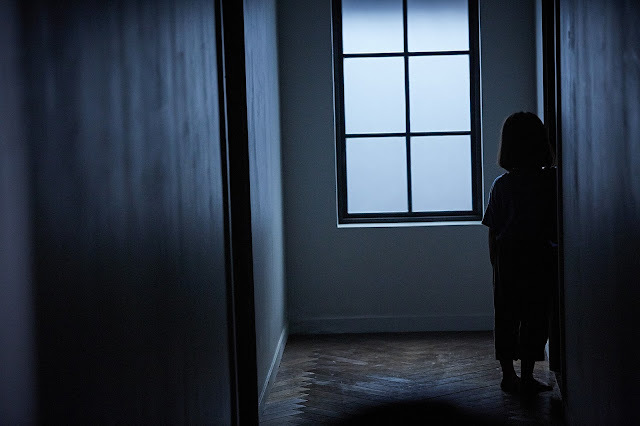 Huh’s latest lacks the intriguing set-up of his debut and once the supernatural presence enters Hee-yeon’s home the mid-section is only nominally more interesting than typical haunted house fare. Rather than shadows moving around in the background (though there are some), the tension is built around the young girl who enters the family and her increasingly uncomfortable behavior. Once the narrative gets past the creepy build-up, the film enters more interesting territory. Some necessary exposition aside, Huh begins to employ a few more visual tricks, some making use of well-placed mirrors as he builds to an effective climax. Especially in its back half, many will notice a similarity with Na Hong-jin’s The Wailing, but that has more to do with coincidence, given that this film finished shooting about six months before Na’s came out. That said, one particularly similar scene may have been edited with the film in mind. Leading the cast is Yum Jung-ah, whose most memorable part was in the most famous K-horror, Kim Jee-woo’s A Tale of Two Sisters. At the film’s outset it’s not the most exciting role, playing an anxious but occasionally cold mother, but as the layers add up Yum is given a chance to take her character in more novel territory. Her performance doesn’t quite sell the climax but in this regard it’s ultimately the script’s messy plotting that fails her. Young actress Shin Rin-a, previously in Ode to My Father and The Last Princess, is very well cast as the strange new houseguest. Presumably most of her dialogue is dubbed by the actors playing the characters she mimics, but her vaguely vacant innocence is unnerving and allows her to stand apart from the legion of creepy children in horror. Elsewhere, performances are all decent but most of the side characters are not well-defined and turn up at random, including the mother-in-law, whose failed memory was responsible for the disappearance of Hee-yeon’s son, a mysterious woman that mostly stares at the family’s house from a distance, and a detective that doesn’t really do much of anything. Director Huh’s latest may not quite live up to the promise shown in his debut (not to mention his well-regarded shorts) but anyone who’s been hankering for a decent new Korean horror film should find plenty to sink their teeth into here as The Mimic is probably the best commercial Korean horror film since 2009’s Possessed. Better than Train to Busan? I know I'm being very narrow in my use of the label but I don't really consider TRAIN TO BUSAN, or THE WAILING and THE PRIESTS for that matter, to be K-horror. They're evolutions of the genre with much bigger budgets and different aims. Come on! The Wailing is definitely horror (though TtB is not). So is The Priests even if it is a godawful film (pun intended). But you are excessively generous to The Mimic. There's a great idea in there which just does not come out.